Team data and logos for the remaining 6 MLB Teams (SD, MIA, COL, KC, MIN and HOU) is already included in the rom data. Swapping in The Rockies, for example, is a simple matter of swapping team data at the appropriate location in the game hex. Instructions for this process is included in the attached archive! Baseball Simulator 2013 includes up-to-the-date (2013.03.18) rosters for each MLB team. Want to see what happens when R.A. Dickey's Blue Jays have to face Mike Trout and the Angels in AL Play? Can Jose Bautista keep up his prolific power streak into 2013? PROTIP: Never hang a slier against Jose Bautista. 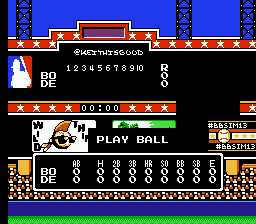 Baseball Simulator 2013, the only NES Baseball Game that Matters, can be downloaded here. *As of this release, there is a glitch in drawing the title screen after the game runs a demo inning where a line of 1's appears. 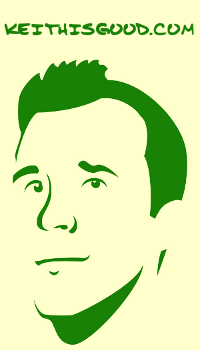 Any fixes will be updated in the archive and reflected in updated version numbering on the readme. RELEASING A BASEBALL SIMULATOR 2014 ROM? The first wood bat finishes the three classes and other than being offered in a more prominent assortment of shape and decrease for a player's individual taste, there's very little that can be said in contrast with the composite bats. They are a little more than 2 inches wide, https://www.jetwin.com/en-us/sports 3 and 1/4 inches in length and about 3.5mm thick. They resemble a little fired block that make an alternate "chink" sound than an ordinary tar or earth casino chip.